Upgrade for access to the arena floor with “no-line” entrance via a side door. Dina was a fantastic tour guide around the ancient roman forum and Colosseum! So much knowledge and history to learn! Great tour! Skip the line is worth it!! Can't remember our tour guide's name, but she was quite good! Wow well worth your time.Looking at all that history is an amazing experience.Only had 4 people on the tour so had plenty of time to look and listen to our guide. Very enjoyable tour. Our tour guide Jason was great. The tour covered a good selection of important sites and enough history and context to make the material really interesting. I would recommend this tour. An enjoyable tour of an ever-crowded but always impressive monument. Our guide was fun while a bit quirky, but there were only five of us, so it was quite intimate and personalized. The meeting point was easy to find, and the staff was very accommodating calling ahead of time to make sure we could find them, etc.. Great!!!! Our guide was very informative. My wife and I had a great experience. I would highly recommended. 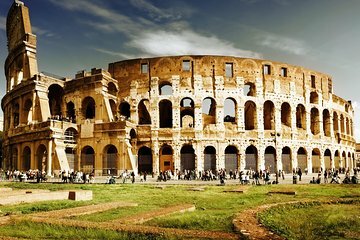 Brian made history come alive for us we could imagine how the Colosseum was when it opened. He was so knowledgeable giving us the highlights of Ancient Rome. So glad we booked this small group tour and that he was the guide. Had a great time. Anton, our guide was very knowledgeable and entertaining. He kept our group of thirteen together, moving and answered all our questions. Would recommend the smaller group to anyone as it is easier to navigate such a busy and large venue. What an incredible trip!!! 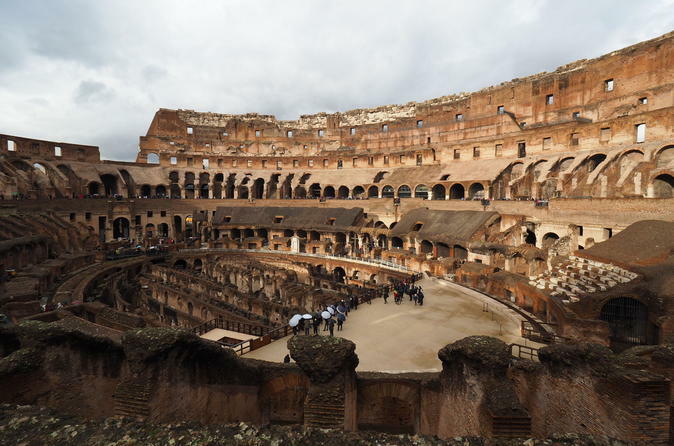 And what a fantastic tour of the Colosseum and Ancient Rome with our Guide, Brian. Very knowledgeable and so personable. Very conscientious about the heat as well, guiding us to shady spots for his history lessons. What a humbling experience to learn about the people who came before us - how they lived, worked, and engaged in life. WOW! Awesomw. wonderful . Unforgatable. I can't express in words.